Our uniquely small kindergarten, with just 20 children, is nestled in the welcoming and friendly community of Portobello with stunning harbour views. Learning at Portobello Kindergarten is focused around having FUN, fun with other children, fun with our teachers, and fun with our parents and wider community. Such fun, intertwined with a consistent firm but fair attitude has enabled us to create an environment which supports young children to become socially competent beings, with an understanding of social justice, inclusiveness and a high level of communication skills. We value our genuine and nurturing relationships with our children and their whanau, which come from all corners of the world. We celebrate this diversity with pride along with a genuine pride and respect for our own bicultural Aotearoa. Children at Portobello Kindergarten will be hugged, tickled, play wrestled with, and they will be encouraged to take measured risks within the environment. They will experience regular excursions, some planned, and some spontaneous walks down to our local playground. They will be exposed to different cultures, read to regularly and taught to be curious and inquisitive in the amazing and exciting world in which we live. They will get dirty, and they will have a LOT of fun in the process. 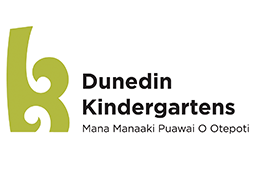 Portobello Kindergarten was the 23rd to join the Dunedin Kindergartens family in July 2013 to provide the kindergarten option to Otago Peninsula families.